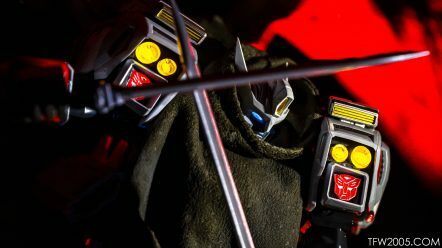 Flame Toys Kuro Kara Kuri 01 Transformers Drift. High end fully articulated with lights and soft-goods cape, non-transforming. Officially licensed.